How do you measure speed? How fast is fast? It’s all relative surely? But no. When you bring together four words to make a definitive statement like the “world’s fastest road race” you are talking speed on a scale that is simply beyond the comprehension of most mortals. 134.614 miles per hour. It’s not an unimpressive figure. It kind of catches your attention. But when you add the fact that that is an average speed you start to sit up and wonder. Add the word road into the equation and don’t know about you, but we’re on the edge of our chair. You may have thought that the Isle of Man might be the one to lay claim to the title of the “world’s fastest road race” and in a sense you’d be right. Well at least for a month or two. This year Peter Hickman posted an average speed of 135.452 mph to take the title. But in fact another circuit has laid claim to it for longer. Dunrod. 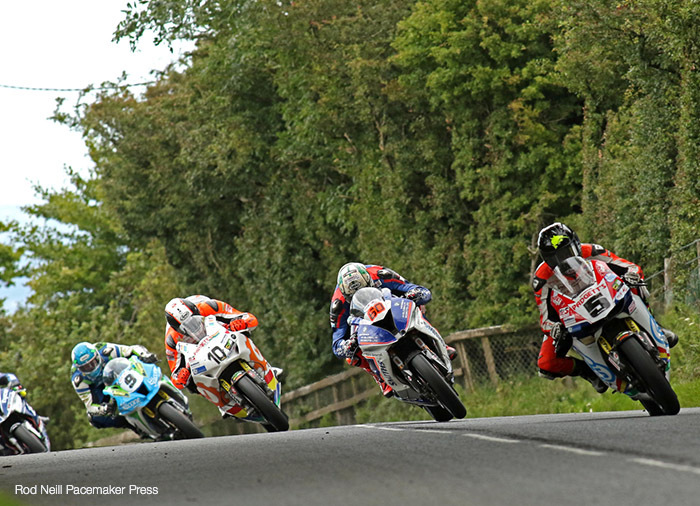 Home of the Ulster GP. The original world’s fastest road race. And it’s shortly hoping to be once again. At Dunrod the current race record set in 2017 is 134.614 mph over the 7.401 mile circuit, held by Dean Harrison. So he’s a whisker under one mile an hour slower, which relatively speaking is not much in the scheme of things. But here’s the twist. He set his record in a race. Jostling for position with twenty or so other riders who were trying to take the best line at the same time as him, which is doubtless a tad distracting when you’re barrelling along at the thick end of 200mph. Down a country road. 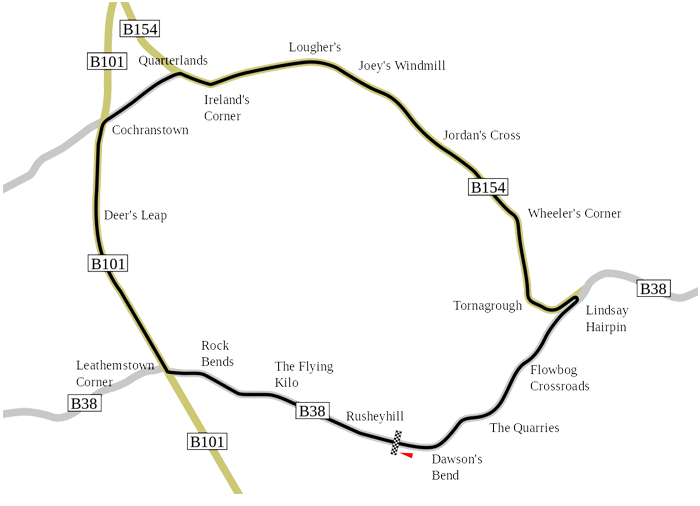 The Isle of Man however follows a time trial format with riders setting off singly. So strictly speaking the competitors are racing the clock in their head, rather than the riders around them, so their focus is on the road ahead. One person of course who is no stranger to road racing is our very own “Queen of the bikers” Maria Costello. She too will be making the pilgrimage to Dunrod this August, pitting herself against not only her fellow riders, but also challenges of the 7.4 mile circuit created out of closed public roads. Dunrod in County Antrim, Northern Ireland was originally used in 1950 for Formula One and sport car racing. 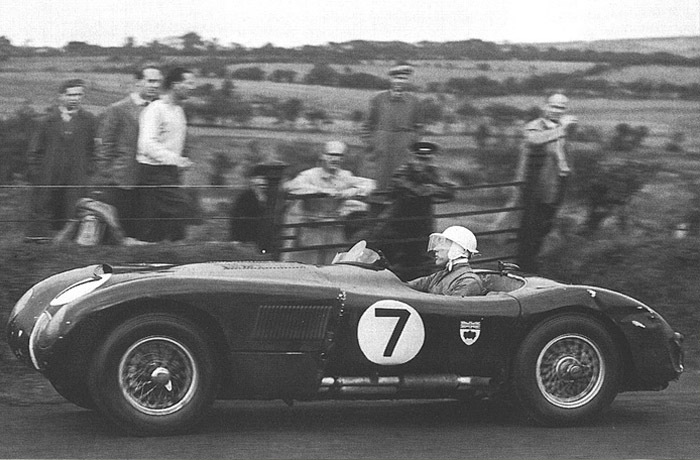 Stirling Moss, at the tender age of 21 won the Tourist Trophy. The cars continued racing there until 1955, but when three drivers lost their lives in a second lap pile up, the circuit was deemed too dangerous, so the car racers left. However the bikers remained and have done ever since. Getting faster and faster in the process.